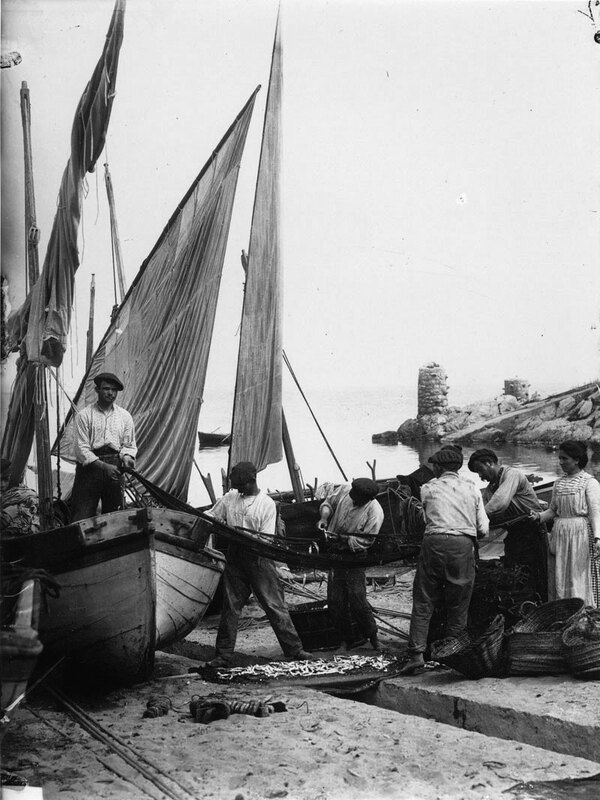 Fishing and fishermen, salting anchovies, setting forth with lateen sails, the first archaeological excavations in Empúries and life in L’Escala are frequent themes in the photographs by Josep Esquirol (Barcelona, 1873 – L’Escala, 1931) and which are also found in the texts of Josep Pla (Palafrugell, 1897 – Llofriu, 1981), who lived in l’Escala for two years. The selection offers up a dialogue between the photographer and the writer, two narratives which complement, but also reinforce each other. From 4 August to 15 September. Monday to Friday, from 9 a.m. to 1 p.m., and from 5 p.m. to 8:30 p.m.
Saturdays, from 10 a.m. to 1 p.m., and from 5 p.m. to 8:30 p.m.
Sundays and holidays: from 10 a.m. to 1 p.m.
From 16 September to 14 October. Monday to Friday, from 9 a.m. to 2 p.m., and from 4 p.m. to 6:30 p.m.
Saturday, from 10:30 a.m. to 2 p.m., and from 4 p.m. to 7 p.m.
Sundays and holidays, from 10:30 a.m. to 2 p.m.